If your family consists of parents and a teenage boy and you’re looking to bond, Arrow can be a good alternative to video games. 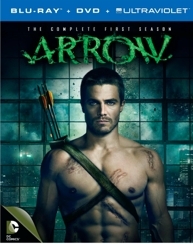 The series appeals to boys, especially, because it’s based on the DC Comics vigilante Green Arrow, who fights crime in his city but isn’t appreciated by police or the media because of his methods. He doesn’t work within the system. He works from a list of people his father gave him—rich people who have built their fortunes by abusing and taking advantage of others, making the city worse for their wear. Robert Downey, Jr. makes Iron Man one of the most entertaining superheroes in the Marvel movie universe. He “gets” his character—a mega-rich wunderkind named Tony Stark who is just as quick to dip into an arsenal of deadpan, sarcastic “Who cares?” cuts and comebacks as he is the toolbox that keeps his Iron Man suit on the cutting edge of technology . . . and blockbuster movie action. 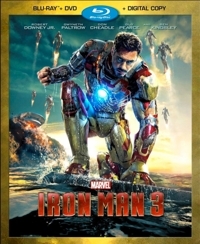 Taking his cue from director Shane Black, who penned the screenplays for all four Lethal Weapon films, Downey seems to ramp up the Larry David-like self-absorption and lack of warmth for comic effect in Iron Man 3, which seems to have a more comedy and more action than the previous two films. Depending on how you feel about sci-fi violence, children ages 10 and up might be able to watch it comfortably.